Write a message or dream and capture it! Write a message or dream and capture it in our Message In A Bottle Necklace. This pretty necklace is a thoughtful reminder of a message to yourself or someone special. 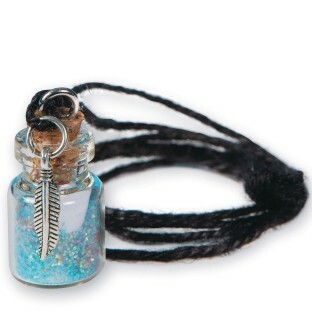 A tiny feather charm adds dreamcatcher-like inspiration. 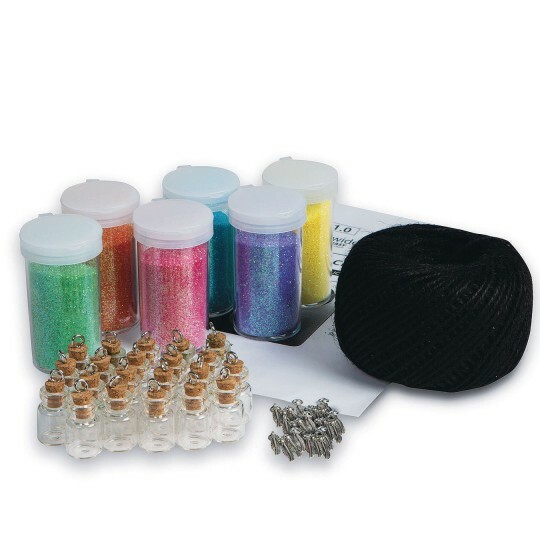 All supplies included: 1”H glass vials with cork and eyelet, black cord, glitter, feather charms, and instructions. Makes 24 necklaces each 36”L.